Will government allow telecom takeover amid intensified race with global players? With South Korean telecom firm LG Uplus moving to acquire the country’s biggest cable TV operator CJ Hellovision, attention is on whether the deal will pass regulatory muster, as local service providers struggle to compete against global streaming giants’ increasing presence in the local pay TV market. According to industry and banking sources here, LG Uplus will convene a board meeting this week to approve the purchase of some 54 percent stake in CJ Hellovision from its holding company CJ E&M. While LG Uplus declined to confirm the deal that is estimated to be worth about 1 trillion won ($890 million), the telco has been seeking to finalize the takeover within the first half of this year, after it first floated the idea in late 2017. “We are going to reach our decision as early as possible. ... 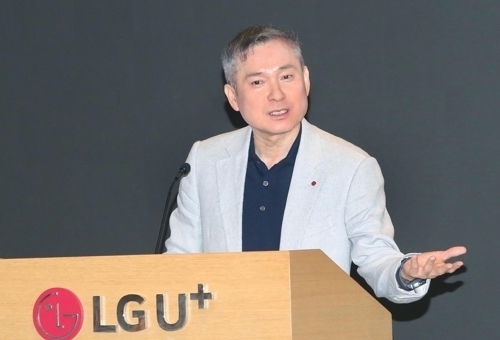 I will make it happen no later than the first half of this year,” LG Uplus CEO Ha Hyun-hoi had said at a press conference in December, months after he took office. Though Ha did not mention the company’s name at that time, speculations were rampant that LG Uplus was in talks with CJ HelloVision. Industry insiders had suggested the two were already in the final stages of negotiations and ready to release an official statement. If the acquisition proceeds as planned, LG Uplus would emerge as the second-biggest pay TV provider, trailing KT. It would secure some 7.8 million subscribers upon acquiring CJ Hellovision. According to last year’s data from the Ministry of Science and ICT, LG Uplus has about 3.6 million cable TV subscribers. Some 4.2 million subscribe to CJ Hellovision and about 9.8 million to KT. “LG Uplus has long been considered to be the smallest among the three major telecom companies here ... its acquisition of CJ Hello would pave the way for it to lead the market,” said an industry official. Challenges remain, however, as the government is cautious about acquisitions that could lead to a market monopoly. But the country’s antitrust agency is expected to take a softer stance this time, according to market watchers. In 2016, the Fair Trade Commission did not allow SK Broadband to acquire CJ Hellovision, saying the takeover would undermine fair competition. The antitrust agency warned at the time the acquisition could result in a monopoly in the pay TV market and telecom industry. However, the government has appeared to shift its tone, as the country’s cable TV providers seek to join hands with telecom companies to compete against global streaming service giants such as Netflix. “Now the environment on regulations has been changed. We will be more open-minded than before when CJ Hellovision requests for a review of the acquisition plan,” FTC Chairman Kim Sang-jo said during an interview with Maeil Business Newspaper last month. Netflix has emerged as a significant player in the content market since it launched its services in Korea in 2016. According to market research firm WiseApp, the monthly users of its mobile app in South Korea hit 900,000 last September, almost triple its base of 2017.